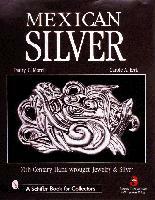 Here is the powerful story of the silver renaissance in Mexico from the 1920s to the present. The wealth of color photos showcases the incomparable beauty of these works in silver. Extensive research sheds new light on the life and art of William Spratling, Margot van Voorhies, Fred Davis, and Hubert Harmon, and on the artisans who worked for them, making this book the definitive study of Mexican silver jewelry and decorative objects.